﻿ 6 Cebu City Condos & House and Lot by Camella For Sale. 6 Cebu City Condos & House and Lot by Camella For Sale. 1016 Residences is a residential condominium developed by both Ayala Land Inc. and Cebu Holdings. With the reputation and experience of Ayala Land, the development is sure to deliver a distinctive and exclusive living experience.1016 residence is centrally located at the Cebu Business Park. The distance is a short walk from the city's entertainment hub and premier center. It is connected to the city exclusively Sports club Cebu thereby giving residents an exclusive access to an endless array of amenities and facilities for recreation, shopping, and business. The location is very convenient and balanced with luxury and space. The carefully planned space architecture and design spaces also take advantage of the scenic view of the seas, the mountains, and the space for open spaces that is also available on the upper floor. The development is also filled with different social amenities and facilities that include landscaped gardens, kiddie play area for children to socialize and have fun, a lobby lounge, roof deck, and the City Sports Club Cebu usage rights. 1016 residences are located in Cebu business park, Cebu City. The development has different trade and commercial hubs in its vicinity. Some of them include Cebu City Marriot Hotel, University of the Philippines, City's sports club, San Carlos Seminary, Redemptorist Church, University of Southern Philippines, and much more. 1016 residences offer the two bedrooms, three bedrooms, and the three bedrooms special unit type. They all have different areas and final price. The cost of the unit in this condo ranges Php 10M to Php45M. Almafi at City de mare is a beautiful residential condominium located in the city of Cebu. The development was inspired by a coastal town in Italy that is known for its scenic beauty, and picturesque landmarks, The Almafi at City de Mare has lived up to its name with its majestic view of the sea and the mountains. The development was created by Filinvest, one of the most trusted developers in the Philippines. The condo is filled with a perfect mix of first class amenities, lush landscapes, and open spaces at a very convenient location.The development is conveniently located in City di Mare, south road properties, Cebu city. City de mare is a self-contained coastal city. It is balanced and alive, and it brings recreation, work, and daily living into a new dynamic level. The location is one of the best when it comes to modernity, security, and accessibility. It has all the convenience of city living all around it. Some of them include San Pedro Calungsod Chapel, SM seaside City, Mactan Cebu International Airport, the proposed UP Cebu professional school, and Cebu central business district. Almafi at city de mare is filled with relaxing amenities that invigorates fun moments that are best shared with friends, families, and loved ones. Some of the cluster facilities in residence include a swimming pool and pool deck, outdoor activity area, tree park, jogging path, basketball court, clubhouse, lounge, and Gazebo. The development offers a two bedroom unit with an area of 56 SQM and a price range of Php 6.6M. Amara is one of Ayala Land premier property located in Cebu city. It is an high-end seaside residential community with a lighthouse that is as old as 100 years standing on one of its rolling hills. The development gives residents the opportunity to live a resort-inspired lifestyle where they can have fun and nurture relationships with their families, neighbors, and loved ones. Families can now enjoy a residence with seaside ambiance coupled up with first class amenities and features that will most definitely make life comfortable. Ayala Land Premier carefully planned the development.Amara is located in Cebu city. The location is very accessible to different business and social hubs in its vicinity. The famous landmarks in the area include Liloan Catholic church and the historic 100-year lighthouse. Amara is filled with both relaxation and sports. The development gives the residents all their money’s worth the variety of amenity in the place. Some of their recreational amenities include a clubhouse, infinity swimming pool with Jacuzzi, garden lobby, social hall, beach bar, fish pond, social hall, calming lights from the lighthouse, and a lot more. Some of the sports facilities and amenities in the area include a fitness gym, sports and recreational club, Serenity Park, meditation gazebo, jogging trails, private garden chapel, locker rooms for male and female, sea viewing deck, and much more.Amara offers different unit types with different areas and final price. The unit sizes range from 405 SQM to 775 SQM, and the price of the houses ranges from Php 5.8M to Php 14.4M. Avida Towers Cebu is one of Avida Land properties located in Cebu. The development offers its residents a chance to live in an exciting and fast paced city without the noise, rush, and stress that comes with it. Like most of the proper developments of Avida Land properties, the development has the best security and the hallmark of sound development. The project was co-developed by Avida Land properties and Asian I-Office, Inc. The project features two magnificent with an overall of 1,045 residential units. The community is fully developed with both domestic and commercial developments; it's an excellent location where residents can live, work, and play.Avida towers are located in Cebu, the political, cultural, and commercial core of the Philippines. The development is also located in the vicinity of the Asiatown IT park, a modern trading center and exclusive economic zone in Cebu city. The location connects to major thoroughfares leading to the Cebu International Airport and Mactan International Airport. Some of the well-known landmarks in the area include the University of Southern Philippines, Ayala Center in Cebu, Parkmall, Chong Hua Hospital, and much more. Avida Towers Cebu are filled with different community amenities for the convenience of the residents. Some of them include Adult and kiddie swimming pool, garden area, an outdoor gym, children's play area, and a clubhouse with function halls. Avida Towers Cebu offers different units that include a studio, one bedroom, and two bedroom unit. 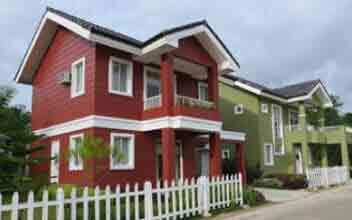 The house size ranges from 22 SQM to 52 SQM, and the price of the units starts from Php 1.56M to Php 4.42M. Avida Towers Riala is one of the newest and finest residential development developed by Avida Land. The project is part of the Asiatown IT Park, a specialized economic zone and a trading area in the City of Cebu. The Avida towers Riala has its surroundings filled with lush greenery and beautiful natural environment thereby giving a delightful and refreshing experience to the residents. The development is strategically planned to comprise five huge towers accommodating beautifully crafted units and studios for the home buyers. About half the space of the development is filled with an open expanse of vast land, giving the residents a feeling of freedom and also provide an enhanced view of the landscaped areas. Avida Towers Riala is located in Cebu, as part of the Asiatown IT Park. It is filled with different famous establishments that make the everyday life of residents easier. Important institutions in the area include Marco Polo Plaza Hotel, University of southern Philippines, Waterfront Hotel LAhug, and so on. The residence is provided with different social amenities and features for the convenience of the residents. Some of the amenities include Adult and kiddie swimming pool, outdoor gym, utility room, play area, and a clubhouse. Avida Towers Riala offers a studio unit, one bedroom unit, and two bedroom units for the home buyers. The studio has an area of 22.62 SQM and is available for Php 2.1M. The one bedroom unit has an area of 41 SQM and a price of Php 5.1M while the two bedroom unit is 56.58 SQM area and price of Php 7.9M. Azalea Place is a residential condo developed by Robinson's land in the city of Cebu. The development is a practical and smart choice for entrepreneurs, students, and young families that are into maintaining their perfect live-work-place lifestyle. The development is the first residential condo to rise along the Gorordo Avenue in Cebu. Azalea Place is located along the Gorordo Avenue, Lahug, Cebu. The development is close to different business and commercial establishments like schools, retail establishments, shops, hospitals, and office buildings. It is one of the most envied places in the Philippines. The development is a few minutes to the university of the Philippines; it is also located just in between the Asiatown I.T Park and the Cebu Business Park. 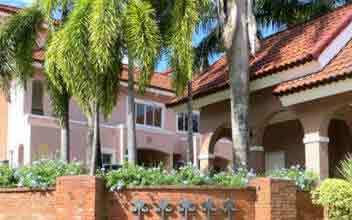 The location is accessible via major roads by all the major modes of transportation. Some of the major establishments around the development are provincial capital, university of the Philippines, Asiatown I.T Park, Cebu business park, Ayala mall, and Marriott Hotel. Robinson’s Land has set the record of providing top of the line amenities and features for their residents. Comfortability and safety are one of the many thoughtful gifts that Robinson's Land provides for their inhabitants. The development is equipped with both indoor and outdoor amenities. Some of them include a function room, fitness center, swimming pool & spa pool, business center, reading nooks, and an indoor game room.Azalea Land offers a one bedroom and two bedroom unit with various area and prices. The size of the units ranges from 29.75 SQM to 56.75 SQM, and their prices start from Php 3M to Php 7M. BPI Cebu corporate center is Alveo Land's first office condo in the city of Cebu. The development sets the record of being the first of its kind in Cebu. It is a professional work area available for ownership. The project is sure to elevate its owners as it stands to be the number business address in the southern Philippines. Alveo Land developed the project, and it sets on taking professional environment to another level. The development is conveniently located in Cebu Business Park, Mindanao Ave., Cebu City. BPI Corporate center is not alone where it stands; it rises with an iconic façade and flourishes within the union of two different districts, Cebu I.T Park and Cebu Business Park. The place is an address of choice for various industry leaders and multinationals where they open a prime residentials, commercial, and business spaces to the possibilities of the highly pedestrian mixed-use regional hub. The BPI Cebu corporate center has different amenities that make it a perfect working space. They include two fire exits, five passenger elevator & a service elevator, fire detection and alarm system, CCTV security, 100% emergency power, three toilets and two urinals for male & 5 toilets for female, and a centralized water cooling system. BPI Cebu Corporate Center offers different unit types that include the ground floor, units on the 8th floor to 19th floor, and the penthouse. The size of the unit in the condo ranges from 68 SQM to 143 SQM, and the price starts from Php 8.1M to Php 16M. Camella Pasadena is an upscale and exclusive Spanish inspired community located in the City of Cebu. The development sits on a 6,000 square meter property that was plotted and carefully planned by Camella, one of the finest and most trusted real estate developer in the Philippines. The community is very safe and secure with different features like the perimeter fence and the guarded entrance gate. Camella Pasadena is a residential development created especially for the middle and upper class that need a place near their workplace within the city. The development is also perfect for home buyers that value privacy, exclusiveness, and a relaxing environment as their community. Camella Pasadena is located at Guadalupe, Cebu City, Cebu. The development has different critical commercial, social, and business amenities as its landmark. Some of them include Cebu international school, Cebu Velez general hospital, SM city Cebu, Gaisano Country Mall, and so on. Camella Pasadena is named after a town in C California, the goal was for the project to capture the feel of the city and at the same time show the beauty of Spanish and Italian architecture. Every unit in Camella Pasadena is minutes away from the amenities of the community, and they include the promenade and pocket parks. The house was carefully planned to contain different housing space that includes a living area, dining area, three bedrooms, two-car garage, and an attic. The development also features a swimming pool where adults can have fun and socialize. 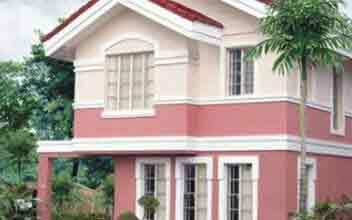 The residence offers and house and lot at a price of Php 2M and up. Camella Riverdale is a 13-hectare residential development by Camella with the best view of the Paranomic hills of Talamba. The development is perched on some of the highest terrains, and it boasts of its mesmerizing view and nature's vistas. Residents cannot get enough of nature as the residential development is carefully planted with hundreds of pine trees and evergreens. The Camella Riverdale features an architectural theme of the South American jewel homes in both color and size making it a beautiful and mesmerizing design for residents. The colors include powder blue, mint green, and canary yellow finished with thoughtful architectural detail in pure white. Camella Riverdale is located in pit-os, Brgy., Calamba, Cebu City. The development is very accessible with different social and commercial hubs in its vicinity. Riverdale is just 2 kilometers away from Cebu international school and 30 minutes from Ayala center. The development also has different malls like Gaisano Country Mall and the Banila Town center just a few minute to it. Choosing a right school for your child has never been easier with the development being just a few minute from prestigious schools like sacred heart school, the University of San Carlos at Talamban, and the Cebu international school. It features different amenities like the clubhouse, pavilion, swimming pool, and basketball court. The residence offers single attached house and lots with various home models at a starting price of Php 5.5M. The units have a floor area that ranges from 110 SQM to 211 SQM, and the lot area is around 169 SQM to 474 SQM. Camella Riverfront is the new residential enclave with an expanse of almost 10 hectares located in the City of Cebu. The development also features a two story home model with al fresco upper floor balcony and a car garage. The home models are no doubt the best-selling model for Camella and its perfect for growing families or retirees looking to upgrade their place of residence. The residents of Camella are also at the advantage of being part of a bigger master-planned community; their home value will increase as the land value of the location increase due to increase in mature development. The development is a complementing enclave of the Riverscape community that is with all requirements to cater every family's varied needs and lifestyle. Another advantage of the development is its beautiful natural environment surrounded by green mountains and evergreens. Camella Riverfront is also filled with different amenities such as a clubhouse, swimming pool, Landscaped parks and Gardens, and much more. Camella Riverfront is located Brgy. Pit-os, Cebu City. The development is very accessible and filled with different prestigious establishments including school, hospitals, place of worships, and others. Some of the famous establishments in the area include Cebu international school, DRC Arcade, Center for industrial technology and enterprise, Cebu Lay Formation Centre, Cebu North General Hospital and so on. The development offers different single detached house units with various home models and area. The floor areas of the unit range from 46 SQM to 166 SQM and the lot area ranges from 66 SQM to 174 SQM. The price of the homes starts from Php 1.9M. 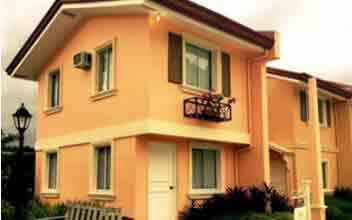 Camella Riverview is one of Camella residential properties located in Calamba. The development spans 4 hectares of rolling terrain and set to embody modern and practical living for its residents. The development offers single attached homes and townhouses with different house units that help to answer the issue of affordability for young families. The development is cost-effective and yet consist of various exclusive amenities for the comfort and convenience of its residents. The project is part of the Camella riverscape enclaves in the city, and others include Riverdale, riverfront, riverine, Riverside, and riverwalk. Camella made all the development, and they offer inexpensive living in pleasure and total luxury for active and busy families. Some of the amenities in the community include swimming pools, clubhouse, picnic grove, jogging trails, pavilion, a manicured lawn, and so on. Camella Riverview is precisely located in Pit-os Brgy. Calamba, Cebu City. The development is nearby and accessible to Mactan Cebu international airport and Cebu City proper making life easier for the residents especially the ones that travel a lot. Some of the famous landmarks of the vicinity include University of Cebu Banilad, Cebu Mary Immaculate College, MCIA, Cebu port Center, SM City Cebu, Gaisano Grand Mall, Ayala Center Cebu, and much more. 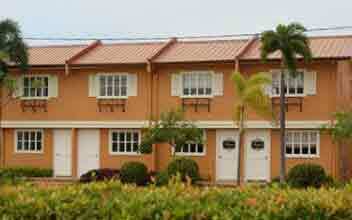 Camella Riverview provides single attached units and townhouses for home buyers. The floor area of the residents ranges from 40 SQM to 46 SQM, and their lot area is from 55 SQM to 98 SQM. The price of the units starts from Php 1.5M. Camella Riverwalk is one of Camella’s property in Talamba, a town bound by the new environment and relaxing view of the mountain. The development is very serene and secure with natural settings and beautiful views; the project is indeed a get-away from the city. Calamba Riverwalk also provides the home buyers with "My Home My Style" single attached buildings that give residents a chance to furnish and design their homes in a way that suits them. It also gives residents an opportunity to buy the home at a lesser price and customize it to their preference. The community also features a Mediterranean-inspired architecture that is laid out in a beautifully landscaped environment. The development is stamped with Camella mark of quality and features first class amenities that will make the lives of the residents easier. The amenities in residence include a clubhouse equipped with Wi-Fi and leisure facilities that will get the attention of families. The home also features a perimeter fence, a gate, and a guardhouse for the security and safety of the residents. Other amenities in the development includes a basketball court, parks and gardens, a playground, and much more.The development is located in Pit-os, Brgy. Calamba, Cebu City. The development has different prestigious establishments as its landmark, some of them include Talamban Elementary school, Cebu North General Hospital, SM City Cebu, and much more. Camella Riverwalk offers a single Firewall house type with a floor area of 46 SQM and a lot area of 72 SQM. The residence is available for Php 2.4M. 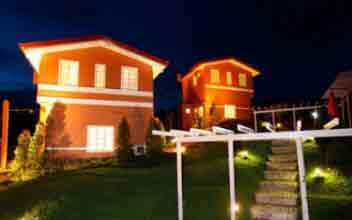 Camella Vittoria is an Italian inspired village located in Mactan, Cebu City. The development is stunning and highlights a lot of natural features. Camella Vittoria also features a beautiful garden right in the middle of the village thereby showing the beautiful view to all parts of the community. The Camella Victoria carries the mark of excellence of Camella land with its serenity and beauty. It also offers different lot packages to match the various tastes of home buyers. Camella Vittoria is located in Mactan, Cebu City. The development is very close to the international airport and just two minutes to the Mactan Doctors Hospital. It is just a few minutes to different private and public schools, 4 minutes to Gaisano Grand Mall, and five minutes to central business districts. The development is also just one V-hire ride to SM MALL of Cebu and Ayala Mall. Other amenities in the vicinity of the location includes Lapu Lapu city Hospital, Insular Health Care, Aviator Flight school, Newton School of Excellence, Advanced Institute of Technology, Our Lady of the Rule Maternity, Outlets at Pueblo Verde, St Augustin international school, Super Metro, Mactan Marina Mall, and much more. Camella Vittoria offers four beautiful house models namely Carmela, Sapphire, Drina, and Emerald. They all have different designs, unit size, and price. The floor area of the development ranges from 65 SQM to 143 SQM, and their lot area is about 218 SQM to 255 SQM. The price of the residents starts from Php 3M and above. Grand Cenia is a beautiful 25 story residential condo in the heart of Cebu City. The development takes condo living to new heights with its distinctive lifestyle. Grand Cenia Cebu gives residents a chance to occupy the top seven floors of an internationally-managed hotel. The condominium is located in the middle of Cebu city, and it is masterfully divided into hotels, residentials, offices and commercial zone. It is a dynamic residential building that puts its inhabitant the best chance life has to offer. Grand Cenia Cebu is located in the central business district of Cebu. It offers 11 floors of hotels for the investors and business men to relax, and the top 7 floors of the building provide residential condominium units where residents can have a comfortable lifestyle and also see the city from a commanding view. Filinvest developed Grand Cenia Cebu, and it features different amenities that includes Lap & kiddie pool, coffee shop, business center with Wi-Fi and much more. Grand Cenia is conveniently located at Archbishop Reyes Ave, Cebu City. Staying in the central business district of a vibrant city has its perks, with the development being near all sort of modern conveniences. Some of the famous landmarks of the development include FLB Corp Center, Ayala Center, Mandarin Plaza Hotel, Cebu Grand Conversion Center, Cebu City Marriott, RCBC, and Asiatown I.T Park. The development offers an individual units type called a Condotel; it has an area of 55 SQM and a price range of Php 4M to Php 8M. Horizons 101 is the tallest residential condominium in the whole City of Cebu and outside of the Metro Manila. The development literarily and figuratively takes cosmopolitan living to a whole new level. The residential condominium rises as much as 173 meters above the sea level, and it got the name " Horizons 101" from the combination of the entire floors of the first tower which is 55 and the second tower that is 46. The development is equipped with an high-speed elevator that takes only 55 seconds to reach the 55th floor. The key areas of the condominium are also fitted with a backup generator in case of any power outage. Taft Properties developed the outstanding establishment and filled with different amenities and features that will improve the living experience of the residents. Horizons 101 is strategically located at General Maxilom Ave, Cebu City, Cebu. The location is in the heart of the city; it stands along the General Maxilom Avenue and just a few minutes to the Fuente Osmena Circle. All great establishments needed by the residents are just a stone's throw to them. Some of the important and close landmarks of the development are St Theresa College, USC North Campus, One Mango Avenue, Metro Ayala, Ayala Cebu Center, Chong Hua Hospital, and much more.The development offers a studio unit, one bedroom unit, and a two bedroom unit. The price of the houses ranges from Php 2.3M to Php 7.2M, and their group size is about 22.30 SQM to 60.30 SQM depending on the type of unit. Marco Polo Residences is a beautiful residential condominium developed one of the most trusted real estate developers in the Philippines. The building stands 800 feet above the ground thereby giving residents a chance to see different beautiful views like the towering Mt. Sudlon National Park, the city’s landscape, and the eye-catching view of the Mactan Channel. The project is very exclusive, and it carries the mark of excellence of the Federal Land real estate, the development is filled with different unique amenities that are exclusive to the residents. Some of them include the wine Cellar, Culinary Station, Pro shop areas, reflecting pond, mini putting greens, covered squash court, and other first class indoor and outdoor amenities. Some of the indoor and outdoor facilities provided for the convenience of enjoyment of the residents include a Daycare Center, Reading room, Golf simulation, game room, and a lot more. Marco Polo Residences is situated in Nivel Hills, Cebu Veterans Dr, Cebu City. The location is very convenient and unbeatable because of its proximity to other prime establishments in the city including Marco Polo Hotel, Asiatown IT center, the University of the Philippines, SM City Cebu, Mactan Cebu International Airport, SM seaside Cebu, and a lot of the other main historical attractions. It is also close to schools, malls hospitals, and other famous establishments, some of them include Bellini, Anzani, Jy square center, University of Cebu, Gullas Hospital, and much more.The development offers different housing unit with a unit size that ranges from 36 SQM to 187 SQM and a price range of Php 3.6M to Php 22.8M. Park Point Residences is a residential condo development by Ayala Land Premier. The development is located in Cebu City. The location is the heart of Cebu business park and is the premier destination for shopping dining and entertainment. The development also has different business and commercial establishment in its vicinity including schools, hospitals, malls, and so on. Some of the nearby institutions in the area include Lexmark Plaza, Innova, Insular Tower, water-front Cebu City, Ayala Center Cebu, Metro Gaisano, San Carlos Seminary, Ateneo Graduate school Cebu, and so on. Ayala Land Premier developed park Point Residence, and it entails different amenities and building features for the convenience and safety of the residents. Some of the building features in the development includes a 100% backup power, elevator proximity card access, fire detection and alarm system, building maintenance, and 24-hour security. The units also feature an audio guest annunciator system and an emergency assistance button for the safety of the residents. Other amenities in the building are a clubhouse, fitness gym, part point deck, podium, and a social Hall.Park Point residences offer one bedroom unit, two bedroom unit, and the three bedroom unit. The one bedroom unit has an area of 61 SQM and a final price of Php 6.2M, the two bedroom unit is available for Php 16.6M and has an area of 92 SQM. The three bedroom unit type is the largest in the condo, ideal for big families, it has an area of 134 SQM and a price of Php 24.1M. Pristine North Residences is a meticulously planned residential development in the midst of Cebu City. Aboitiz Land is a prominent residential developer in the Philippines known for their quality homes with unique concepts. The development is one of the first fully integrated and master-planned community that is located a few minutes to the central business district. Pristine north residences boast of beautiful gardens, top notch architecture, and its abundance of space. The residents of the village are very friendly and with a great spirit of community. The village is designed to meet the needs of an individual, family, and the whole community. The Pristine North Residence is filled with different first class amenities that will increase the living experience of the residence. The village has a celebration hall and gazebo where families can have fun and socialize with each other. Other amenities in the development include a 20m lap pool, rubberized kids’ playground for their safety and fun, outdoor playground, basketball court, pocket park, clubhouse, and put door open spaces. Pristine North is located at Talamban Rd, Cebu City. The location is very convenient and has different famous establishments like school, malls, and hospitals around it. Some of the famous institution in the area includes Ateneo De Cebu, University of San Carlos, Cebu North General Hospital, Gasaino Grand Talamban, and much more. Pristine North Residences offers different unit types with different area and price. The lot size of the units are about 105 SQM to 180 SQM, and their price starts from Php 11M to Php 14M. Sanremo Oasis is a mid-rise residential community located inside the vibrant City de Mare at south roads properties. The Sanremo oasis derives its name from a picturesque Italian resort town, the development gives residents a glimpse of the surrounding mountains and the sea right from their balcony. The residence is designed with quality and expertise making it durable and able to last for a long time. Sanremo oasis is located at City De Mare, South Road Properties, Cebu City. The location is close to all sorts of daily essentials for the convenience of the residents.Some of the famous landmarks of the area include San Pedro Calungsod Chapel, Cebu Business Park, Proposed UP Campus, Mactan Intl Airport, SM seaside City, and San Pedro Calungsod Chapel. Sanremo oasis was developed by Filinvest, a trusted real estate developer in the Philippines with years of expertise and experience. The project is loaded with different kinds of social amenities for the convenience of the residents. It has not two but three types of pools for various age sets, they are kiddie pool, Pre-teens' pool, and the adult lap pool. A basketball court and a jogging trail are also available the residents for outdoor exercises. A clubhouse is available to the residents for any social gathering and kids are provided with a play area where they can have fun and meet new friends in their surroundings. The development offers a two bedroom unit with an area of 29 SQM and a house size of 39.12 SQM at a price that ranges from Php 3M to Php 4M. Savoy Hotel Mactan is Megaworld residential Condotel project in the City of Cebu. The development offers home buyers a unique investment where they can purchase a residential unit in the hotel. The homebuyers will also be provided with a deed of ownership similar to the ones provided in a condo. The development is the best destination for travelers, tourist, and pleasure-seekers. The hotel serves as a risk-free investment because the hotel operator does the maintenance, refurbishment, improvement and other services. Savoy Hotel is located in Mactan. Newton, Cebu. The development is just a few minutes to the central business district of Mactan. A province of Cebu that is a center of different business, educational, and administrative establishments that caters to the daily needs of the residents in the area. The development also has different modes of transportation for easy movement around the place. It is just a few minutes away a few moments away to the Mactan International Airport. The development also has different amenities for the convenience and enjoyment of the residents, and they include a swimming pool, sun bathing lounge, pool bar, pool bar, children's pool, and so on. Savoy Hotel offers a studio unit and two types of one bedroom un its. The studio unit has an area of 37 SQM and has a final price of Php 4.5M. A bedroom unit with an area of 24 SQM and another with 47 SQM is available in the buildings, and they are available for a final price of Php 4.5M and Php 5M respectively. Sedona Parc is the new stylish residential condo development located in a tranquil and highly accessible Parkside in Cebu. The condo has only 114 units that offer an upscale lifestyle inspired by design and thought.Sedona Parc is located in the central business park of Cebu which means an atmosphere of peace and tranquility for the residents. Alvei Land developed the project, and the name was derived from a Latin word "Salveo" which means "wellness." Sedona Parc is located in Leyte Loop, Cebu city, Cebu. The projected is located in an ideal area as part of a bigger project in the predominantly business sector of Cebu City. The project is also set to incorporate its park area as its main features. The development is near all sort of conveniences like banks, stores, mall, hospitals, schools, and so on for the residents. Some of them include Mabolo Elementary school, Bagong Lipunan Elementary school, Ayala Center Cebu, Kiwi lounge bar, Perpetual succor school, and much more. The development also features different amenities like a fitness gym, function room, designer lobby, and so on.The Sedona Parc offers three different unit types which are the studio unit, one bedroom unit, and the two bedroom unit. The studio is available for Php 3M and has a unit area of 30 SQ. The one bedroom unit has an area of 50 SQM and a price of Php 5.3M while the two bedroom unit is 86 SQM and with a final price of Php 9.1M. Solinea is another residential condominium project by Alveo Land. The development is the first master-planned community of Alveo Land, and it features different features and amenities for the convenience and comforts of the residents. Some of them include a clubhouse, lap pool, leisure pool, multi-purpose rooms, dance studio, game room, function room, sky deck, outdoor sitting area, and so on. Solinea is precisely located in Block 11, Cardinal Rosales Corner Luzon Ave, Cebu Business Park, Cebu. 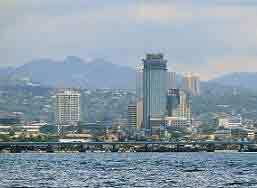 The development is within the vicinity of Cebu Business park in the southern Philippines. The development is right at the Ayala Center Cebu and just a few minutes to the Cebu IT park. Two major access roads also bound the 2.6-hectare property, the Cardinal avenue in the east and the Luzon Avenue on the North. The development is also near different famous establishments like schools, malls, hospital, and all sorts of modern conveniences. The residence offers different unit types to match the various needs of home buyers. Solinea offers a studio, one bedroom, two bedrooms and three bedroom unit. The studio unit is available for Php 2.5M and has an area of 25 SQM while the one bedroom unit is with an area of 46 SQM and a final price of Php 4.7M. The two bedroom and three bedroom unit are the biggest groups in Solina; the two bedroom unit has an area of 62 SQM and a final price of Php 6.1M while the three bedroom unit has an area of 83 SQM and is available for Php 8.0M. Taft East Gate is a residential condo in Cebu developed by the Taft properties real estate developer. The development is located in an exciting neighborhood, and it offers different spaces like numerous retail options, hotel, residence, and office spaces. Taft East gate is located pope John Paul II Ave, Cebu City. It is very accessible and has different important amenities in its vicinity, some of them include Cebu Business Park, Cardinal Rosales Avenue, Taft East Gate Mall, and much more. The development also features different features and amenities for the comfort and convenience of the residents; they include swimming pools, multi purpose sports area, fitness gym, landscaped gardens, multiple parking levels, backup power, and a function hall. Taft East Gate offers different unit types ranging from the studio to the two bedroom unit, each with a unique area and final price. One of the units in the development includes a studio mid unit and a studio end unit. The studio mid unit has an area of 28 SQM to 29.5 SQM and a price range of Php 2.9M to Php 3M, while the Studio end unit has an area of 36 SQM and a price range of Php 3.97M to Php 4.38M. There is also a mid bedroom unit with a price range of Php 4.68M and a two bedroom Mid unit with a final price of Php 6.9M. The two bedroom unit is the largest in the development with an area of 72.5 SQM and a price range of Php 8.4M to Php 8.5M. The Persimmon Studio is an urban residential village located in the City of Cebu. The project was developed by Aboitiz Land and four high-rise residential towers. The development is the best option for residents looking for a place where everything they want is around them. Persimmon Studio has one of the most exciting and convenient locations in the city of Cebu. It is conveniently located at Mabolo in Cebu City, the address is right in the middle of the city, and it has different modern establishments including schools, hospitals, malls, and so on. Some of the famous institutions in the area include Permission studio Cebu, Central Nautical Highway, H. Joaquin Street and much more. The Persimmons studios are also filled with different social amenities that promote convenience and healthy living. The community has an adult lap pool and an exclusive pool made especially for the kids. The amenities in the development also include a clubhouse where the residents can have different kinds of occasions and socialize with each other. The children's play area is also available in the area where kids can socialize and have fun with their peer in a safe and controlled environment. Other features and amenities in the area include landscaped open spaces, a fitness gym, game room, multi-purpose court, 24-hour security & CCTV system, basketball court, commercial area, and a perimeter fence. As the name implies, the Persimmons studios offer a studio unit with an area that ranges from 24.5 SQM to 26.41 SQM. Vista Suarez is a mixed-use residential condominium developed by Vista Land. The development is a two story high rise condo that forms an L-shape and offers an office, residential, retail and a hotel unit. The project is the first to be done by Vista Land Inc. in the city of Cebu. Vista Suarez is located primarily at Gorordo Avenue, Cebu City, Cebu. The location is very accessible and is surrounded with major thoroughfares of the city, and It has a lot of important establishments like schools, malls, hospitals, and so on in its vicinity. Some of the famous landmarks of the development include UP Cebu, Hotel Elizebeth, Ayala Center Cebu, Royal Concourse Gourment Mall, and much more. Vista Suarez Cebu comes with different amenities and features for the safety, convenience, and enjoyment of the residents. The development has features like a sprinkler system, fire escape stairs, and a fire detection and alarm system in case of any fire incident in the building. The building is also equipped with a high-speed elevator, Wi-Fi on amenity deck, and a standby generator for the convenience of the residents. Amenities in residence include a fitness gym, lap pool, lounge, sky deck, and function rooms.The Vista Suarez offers different unit types including a studio, studio with balcony, studio with balcony, one bedroom unit, one bedroom with balcony, two bedroom unit, and a penthouse. The homes are different in area and price. The unit's size ranges from 21 SQM to 150.16 SQM, and the amount of the different units is from Php 2.6M to Php 21M.